This is our first batch of UL-Rated control panels completed and ready for storage prior to shipping to the United States. This is part of a fully integrated Rockwell Automation control system featuring ControlLogix PLC’s with Guard Logix Safety and PowerFlex Drives. When a major paper producer was faced with increasingly temperamental performance from the existing hydraulic drive control system on their Valmet KL Winder, they turned to Optima for assistance. The system suffered from uncontrolled starting from cold until the hydraulics had reached normal temperature. However, even at normal operating temperature, there were still issues with tension control being unpredictable. Optima were asked to suggest possible upgrade solutions for the winder. Our solution was to use a Siemens Sinamics drive system, controlled from our own custom-written winder blocks. 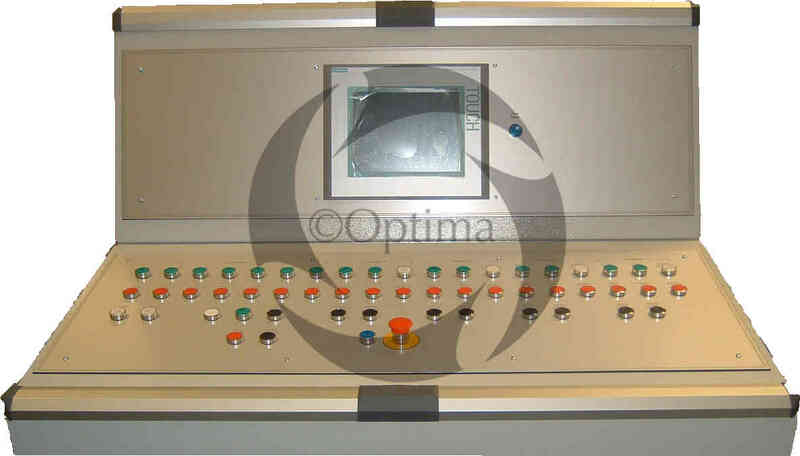 Optima’s winder blocks are PLC-based and provide all the functionality required of any winding application. The new drive system was specifically designed to suit the exact material tensions, roll diameters and operating speeds of the winder to ensure both performance and cost needs were met. The actual products run on winders sometimes differ from the manufacturers own design. A complete new control suite was built to house the new PLC and drive hardware. Installation was managed by Optima. 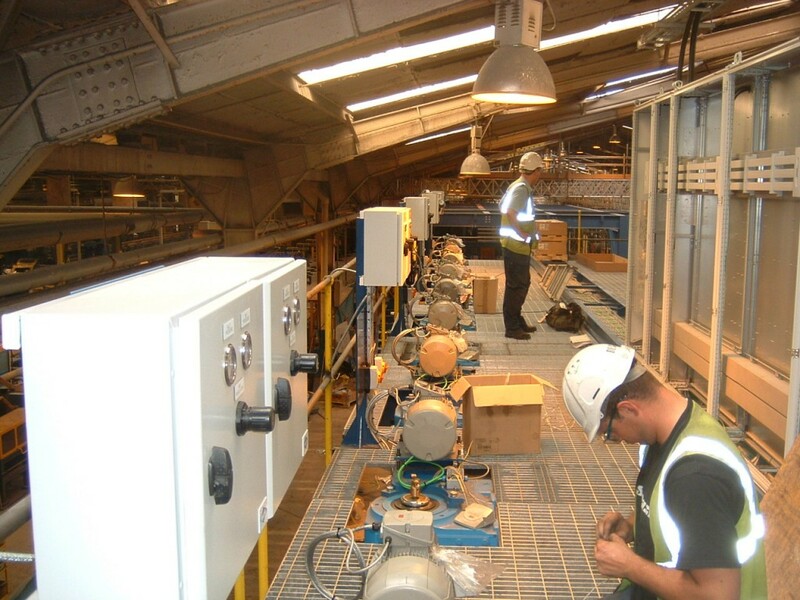 Final Commissioning was carried out by our own engineers specialising in web transport systems. Tuning of the fully-compensated system was carried out over a series of product trials on different grades of paper. The drive control system is complex, not just for accurate tension control but also to drive either end of the paper unwind with separate AC geared motors – not an easy task to achieve. Optima’s control algorithms ensure that control of the unwind reel is shared equally between each drive whilst also preventing ‘slippage’ of the driving mandrel within the unwind core. Optima will be pleased to provide a no-obligation site visit to discuss how we might improve the performance of your existing winder or for a completely new upgrade. Please telephone: Andy Coverdale or Mark Lane on 01254 272829 to discuss your requirements in more detail. In this upgrade, carried out during a planned shutdown, an Automax controller and obsolete DC drives were removed and replaced by new AC Powerflex 753 drives and AC vector motors. The SLC500 rack was replaced by a new Control Logix rack and remote IO on Ethernet. The now redundant PanelMax HMI was replaced by a new InTouch system from Wonderware. 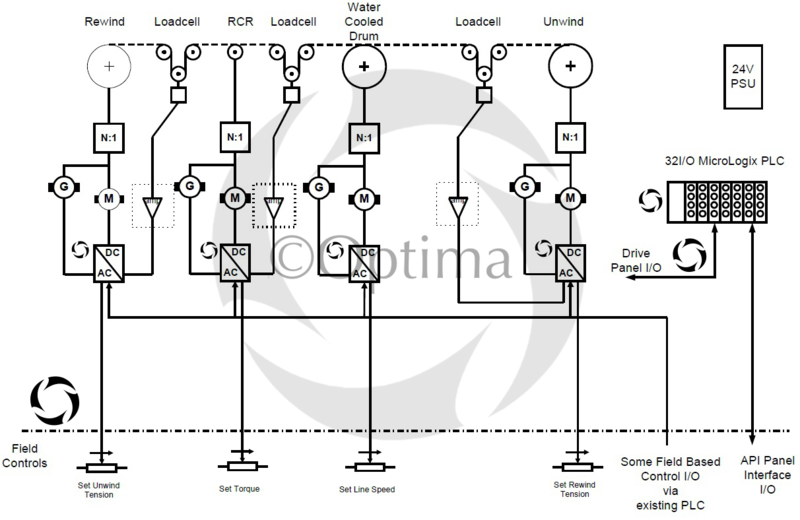 Details of a typical metalliser drive control system are shown below. Optima know the metalliser drives process intricately. We have upgraded over 10 metalliser drive systems from various manufacturers and can offer a comprehensive upgrade to bring control of your machine drive system up to the standards of a new metalliser. Optima will be pleased to provide a no obligation site visit to discuss how we implemented this upgrade and how we can help upgrade your machine to new supportable equipment. 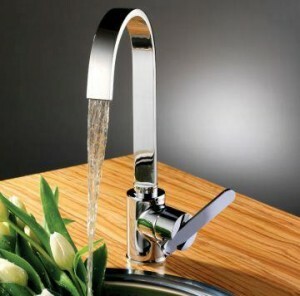 Please telephone: Andy Coverdale, Mark Lane, Michael Hill on 01254 272829 to discuss your requirements in more detail. Alternatively e-mail us at E-Mail Sales. Optima were approached by an internationally renowned packaging manufacturer, particularly specialised in cartons, labels and leaflets. The company’s manufacturing facilities across the globe must deliver maximum efficiency and reliability to enable excellent customer service and innovative packaging designs. Their Scotland-based plant was faced with obsolescence and unreliability of a Sirpak 200 tube forming and cut to length machine. 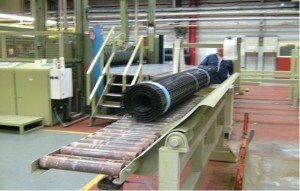 The linear tube-forming line on site is used for the production of all-shape composite cans. It allows the manufacturer to produce odd-shape packaging for premium brands such as Chivas Regal and Glenfiddich. Customers in this sector demand high-quality materials and unique packaging designs. If their supplier is unable to produce these up to standard and on time, it would be losing significant amounts of revenue. This is where Optima got involved to provide a stand-alone registration system to replace the existing cut-to-length equipment . 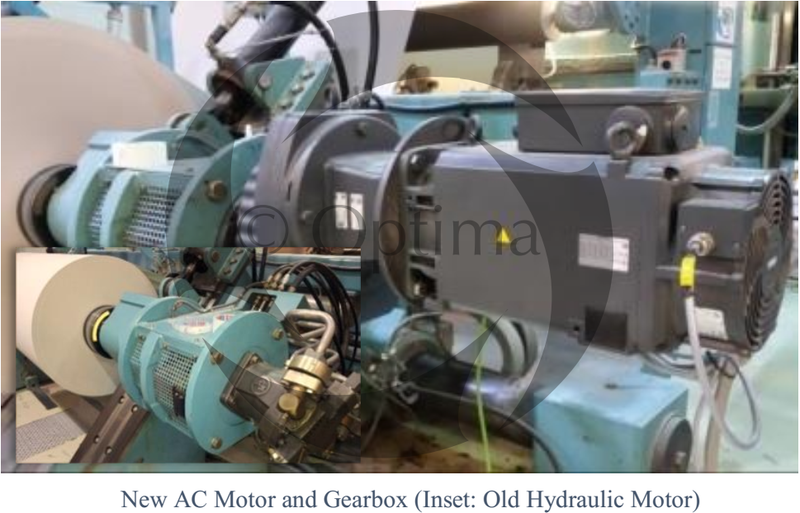 The new system that Optima developed incorporated a fully integrated Siemens platform with Simotion Drive equipment, Simatic PLC and a Siemens Synchronous Motor gearbox combination. 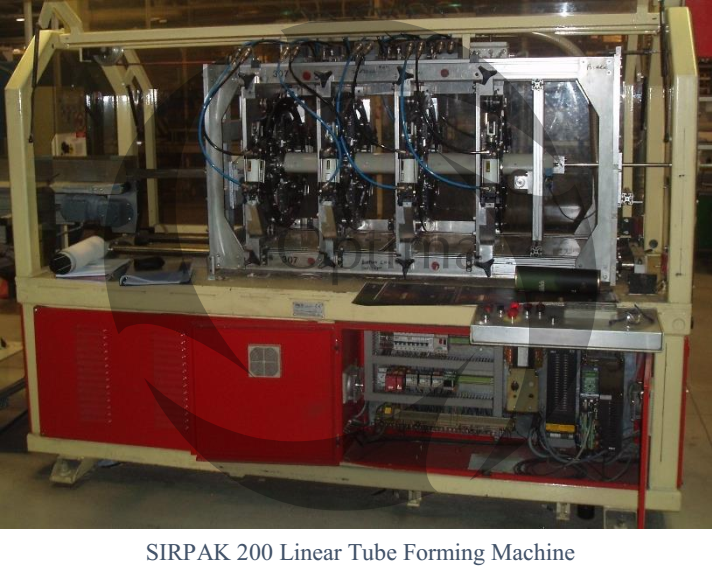 New features for the machine – a Sirpak 200 – included a recipe interface for the different packaging tube lengths produced on the machine. 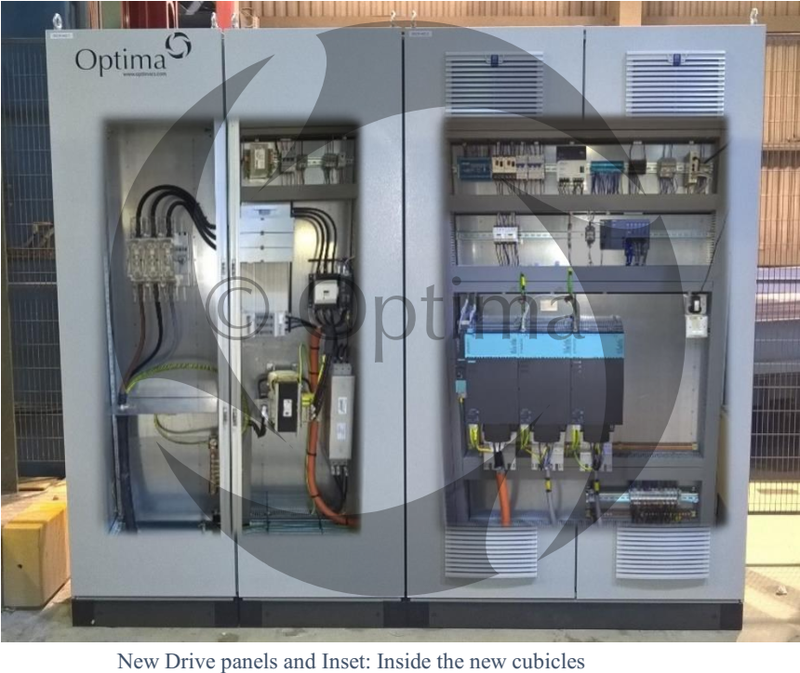 To minimise downtime at change-over from the old equipment to new, Optima installed a new panel, encoder and PEC next to the existing units without interfering with the existing control system. Because of this, the project commissioning was completed in 5 days without problems or delays. Please telephone: Andy Coverdale, Mark Lane, or Michael Hill on 01254 272829 to discuss your requirements in more detail. In this project, Optima provided a complete new control system for a Metal Decorating Press. In order to print the colours correctly aligned, all axes must be fully synchronised. Optima chose to use Sinamics S120 Drives and the D425 motion controller to achieve the required accuracy. The control system was a completely integrated package from Siemens with use of remote IO stations to minimise machine wiring time. This video was taken during final commissioning of the machine. The project was managed from the initial site survey, through specification, design and finally commissioning on-site by Optima. This allowed to to design the system to accommodate machinery safety and environmental operating conditions in addition to the major drive control aspects. 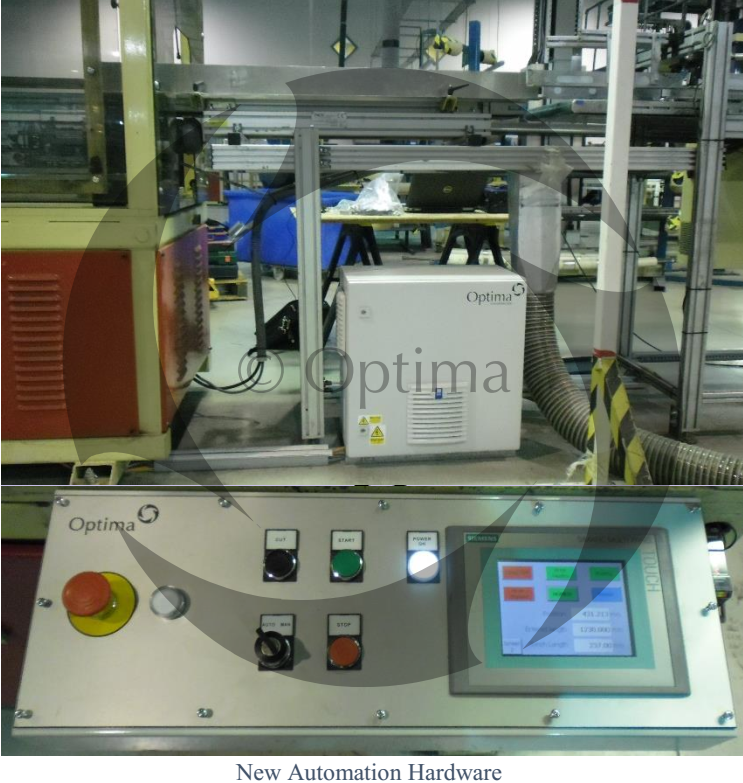 All built equipment from Optima was tested for both build quality and correct functionality before the control enclosures were boxed and braced ready for shipping to site via sea freight. Commissioning of the supplied control equipment and software was completed with the assistance of the end users engineering and operational personnel. This is important as it allows a natural ‘hand-over’ of equipment to the end user so they become comfortable with owning the new control system. Please feel free to speak to us and find out how we can help to upgrade your printing machines to the latest state-of-the-art automation hardware and give you total ownership of the eventual control system supplied. Tensar International was founded in the1980s and ever since its name has become synonymous with high quality mechanical ground stabilisation and soil reinforcement products. The company is a world leader thanks to its innovative solutions and technology-driven vision. Tensar invented and patented the first polymer geogrids – their Biaxal geogrids are widely used around the globe. 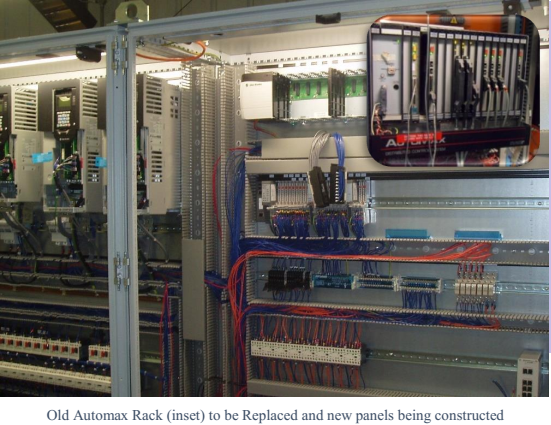 Optima Control Solutions, an independent automation expert, was approached by Tensar and charged with the task of completely upgrading one of their Biax production line control systems. After years in production, Tensar’s specialist Biax line located at their plant in Blackburn became progressively obsolete and inefficient. It required not only a complete mechanical upgrade but also a total control system upgrade and a complete machine rewire. Tensar needed an expert control system company flexible enough to complete the whole upgrade in a very tight time window – a total of 4 weeks. Moreover, Tensar needed work to be carried out during what is the longest holiday period for most companies – Christmas. Optima Control Solutions, headquartered just a few miles away from Tensar’s plant, accepted the challenge and teamed up with Tensar’s mechanical engineers to complete the task competently, on time and within budget. Optima designed the new control system in accordance with Tensar’s process requirements. Optima’s solution included some smart design features that gave greater machine reliability characteristics. 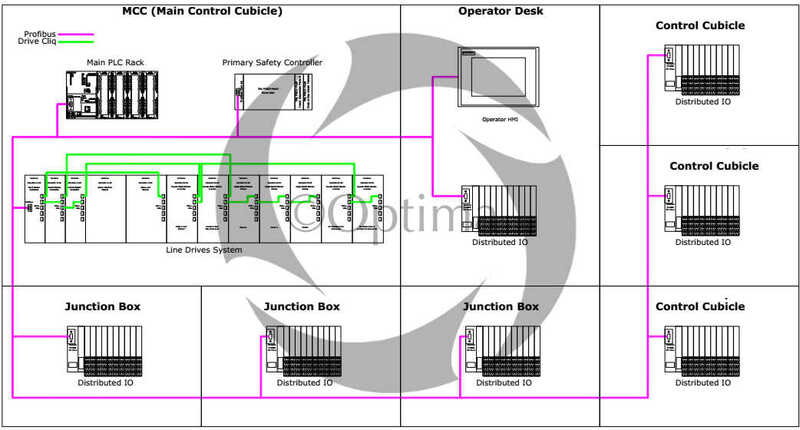 PLC remote I/O units were fitted in the control cubicles, control desks and junction boxes located on the Biax machine. 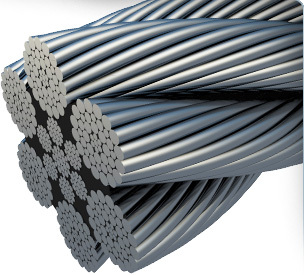 The majority of the existing control cables could be removed which gave improved reliability and would simplify future maintenance on the machine. 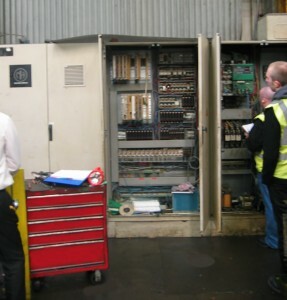 A redundant Siemens WinCC Scada package was installed for controlling the machine and allowed production data to be easily collected and analysed. 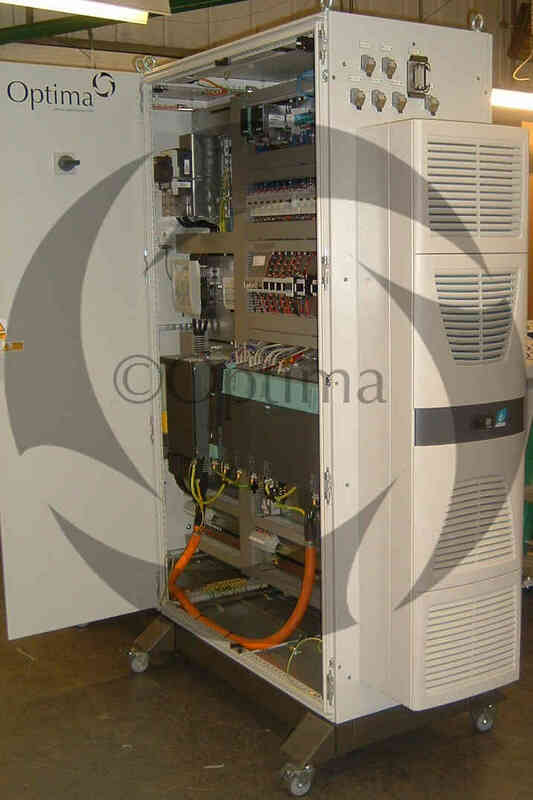 Optima’s team utilised Siemens Scada both on the input and output control desks. This control design allowed the machine to be controlled by either Scada if one of them failed. Finally, because Christmas is the time for presents, Optima decided to include their InfoServe365 Data Acquisition product free of charge to the offering. InfoServe365 was connected directly to the new PLC controlling the Biax line. It automatically gathers the data necessary to deliver reports and allows in-depth analysis of production operations, plant condition and energy consumption.